This kit is perfect for spot treating existing spaces that have already been treated or for the artist who's just getting started. Includes adhesive squares so you can apply these panels to your walls in a variety of patters to create a custom, stylish look that reflects your personality. 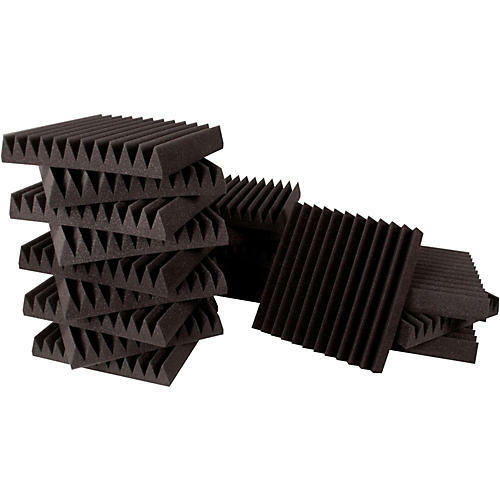 Studio Bundle I from Ultimate Acoustics includes 18 wedge-style acoustic panels that are 12" x 12" square and 2" thick. Size: 12"" x 12"" x 2""